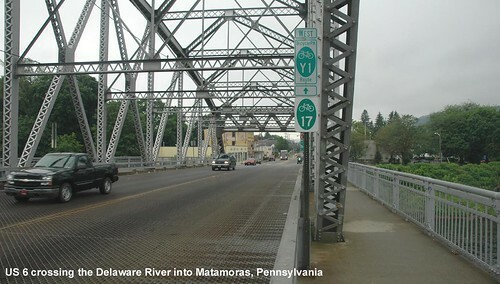 US 6 crosses the Delaware River into Pennsylvania. 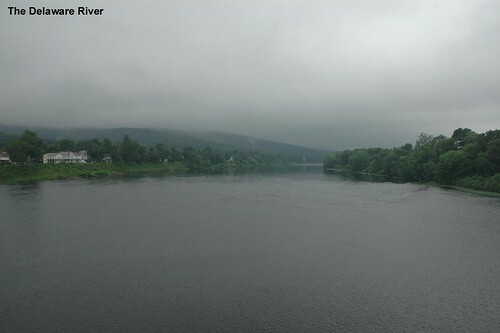 The Delaware River as seen from US 6. 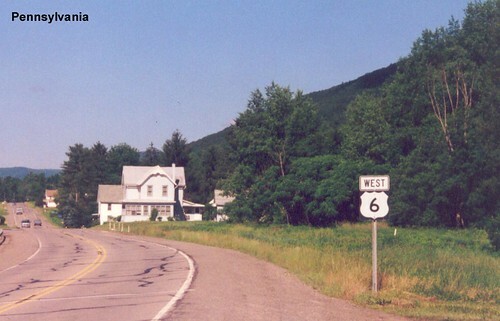 US 6 heading west adjacent to I-84 in Pike County. 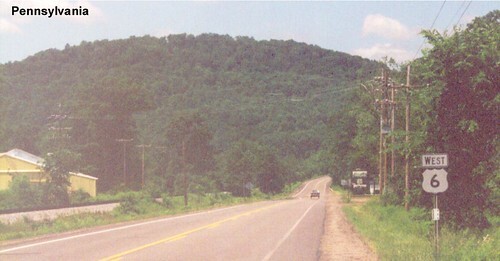 Two-lane US 6 crossing Pike County's rolling hills. 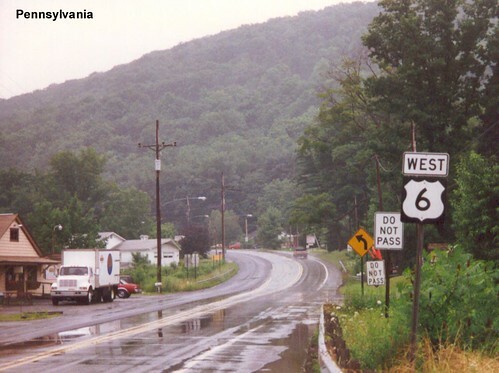 A rain-soaked US 6 in Waymart. 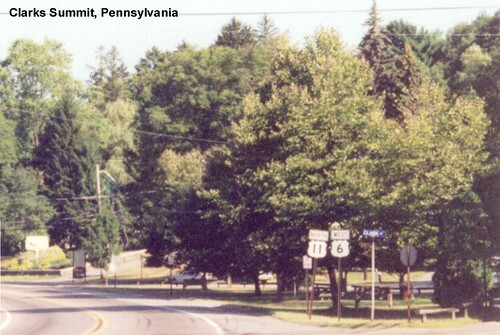 US 6 is multiplexed with US 11 for a short while near Scranton. One thing that struck me during my trip was how building height generally decreased in towns as I continued west. 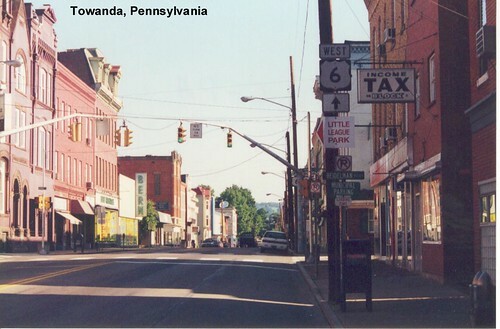 Still mostly three-story buildings here in Towanda. 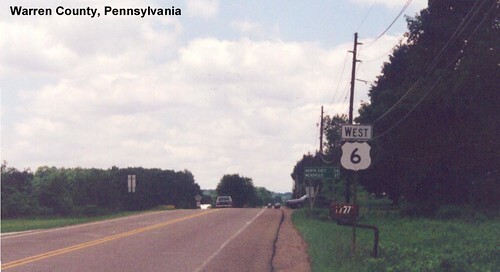 US 6 continues west through the mountains of Pennsylvania. While there isn't an alternate major highway nearby, anyone going a long distance would likely opt for I-80 to the south or NY-17 to the north instead of two-lane US 6. The landscape flattens as we continue west, now in Warren County. 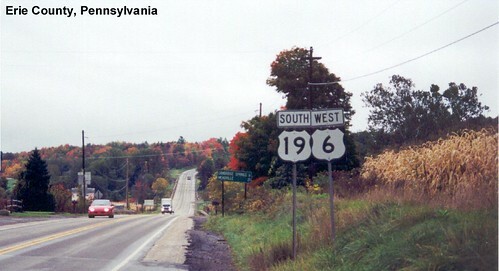 US 6 meets US 19 and US 6N in Erie County. 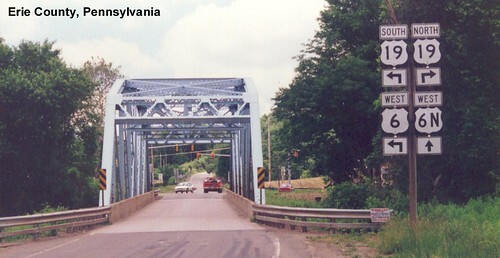 This bridge over French Creek has been replaced with a less interesting but safer span. 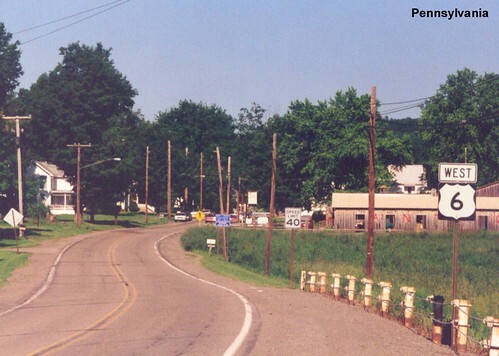 US 6 is multiplexed with US 19 as they head toward Meadville. 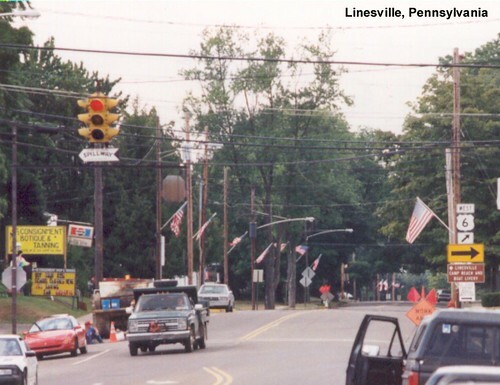 Linesville was looking patriotic on the day I can through. 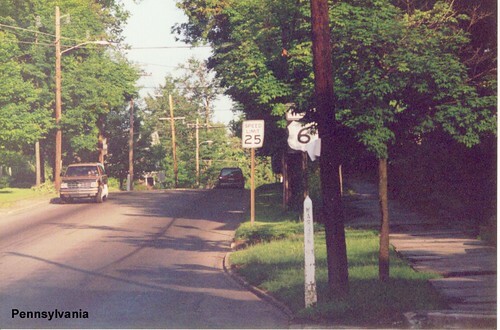 The old four-way traffic signal in the picture has also now been replaced.